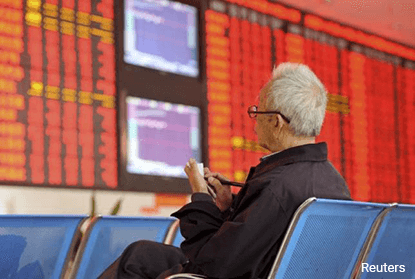 (March 22): Most Southeast Asian stock markets fell on Wednesday, taking cues from a selloff on Wall Street as investors are increasingly worried that U.S. President Donald Trump will struggle to deliver promised pro-growth policies, including financial deregulation. Investors see the Trump administration's struggles to push through the healthcare overhaul, as a sign that he may also face setbacks delivering promised corporate tax cuts. "Everything is down with the surprise 200 point drop in America," said Joseph Roxas, president of Manila-based Eagle Equities Inc, adding that the U.S. market was "really overbought" and due for a "big correction". "Everything will be down for today, probably not to the same degree as the United States. We will probably recover faster. My feeling is that emerging-market stocks will gather more interest in the meantime or going forward." MSCI's broadest index of Asia-Pacific shares outside Japan fell as much as 1.5%, in its biggest intraday percentage fall since Dec 15, 2016. In the United States, the Dow Jones Industrial Average ended 1.1% lower, while the S&P 500 lost 1.2%. Singapore shares fell as much as 1.3% and wereheaded for a third straight session of declines, with losses being broad-based. Yangzijiang Shipbuilding declined by 3.5%, making it the biggest loser on the index, while Sembcorp Industries Ltd dropped 2.2%. Philippine shares fell up to 1.2%, dragged down by financial and consumer stocks with property developer Ayala Land Inc shedding 2.5% and SM Investments Corp declining 1.4%. Thailand shares recovered from early falls to trade 0.3% lower. The country's customs-cleared exports data contracted, but the drop was smaller than expected and the government was still optimistic about the trade outlook. Bucking the trend, Vietnam gained as much as 0.6% to its highest in over nine years. Gains were led by financials and consumer staples, with Joint Stock Commercial Bank for Foreign Trade of Viet Nam gaining 0.5%.